FIRST STEP: WHEN IS THE BEST TIME TO SELL? What time during the year : Toronto Real Estate is seasonal. 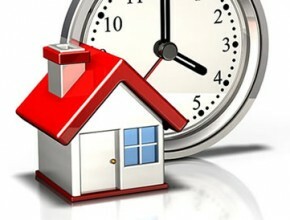 Usually the months of December, January and August the real estate market slows down to its minimum. The best months to list a house for sale in Toronto are February, March, April and September. Briefly “spring” or “fall” are the busiest months for selling real estate in Toronto. Watch the competition in your neighborhood : You will have more buyers attracted to your home if your house is the only renovated house in your neighborhood for sale then you may expect more offers with higher price. Watch for similar neighborhoods : Buyers normally have a few target neighborhoods to buy their home, so watch the market activity in similar neighborhoods as yours too. Similar neighborhoods are not only close to yours but include those similar in quality of the schools, parks, restaurants, services and transportation and similar community. 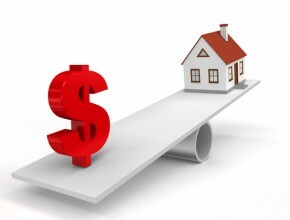 How strong is the current real estate market? : The real estate market in Toronto may not remain as strong as it is now. what goes up normally comes down for a while. Check what is happening in the market now. Your personal timing will likely override everything else. Declutter your home : Buyers often cannot visualize very well help them to feel they live at home by maximizing the living space in your home. Remove the extra items that could distract potential Buyers. Use smaller furniture to make the spaces look bigger. You should consider replacing the king size bed that takes up the whole bedroom for a smaller one or changing the L-shaped large couch with a compact one. Donate unusable items from your closet. 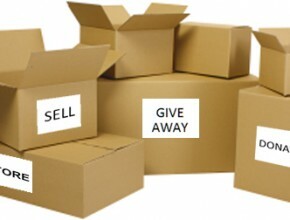 Most home sellers get help from a junk removal company or they may store some of the belongings offsite during their home sale. Stage & Optimize the usage of rooms : Buyers usually don’t have a great sense of imagination, so if you have used a bedroom as a workshop change it to bedroom put a bed in the bedroom, or a dining table in the dining area. We as your REALTOR will identifying your house’s target buyer and will guide you to stage your home to reflect how they would want to live in it. Make your home sparklingly clean! : It is an absolute rule that the cleaner houses will sell fast. Buyers will be checking inside your closets, kitchen cupboards and, bathroom vanity. Make sure everywhere is really clean! Landscape the lawn : Many buyers become attracted to the front of a house and instantly decide to go home. Make sure that your home looks good from the outside . Driveway , the porch, entrance door, walkway and lawn define how a buyer feels about your home. Give it a special attention. Showcase The Basement : If your home has a basement, make sure to showcase yours to the fullest because most buyers love basement. Declutter and clean your basement and make easy access to the electrical panel and utility room for buyers and home inspectors. If there is a second apartment in basement make sure to showcase it to Buyers. Fix The Mechanics : Other than hardwood floors, fancy appliances and granite countertop, the furnace, A/C, hot water tank, electrical, plumbing, roof and insulation are all important too. Consult with your realtor for advice. Touch Up Repairs : If you have ignored the small repairs, it is the time to finish them up. A handyman in a day can help fixing issues and showing buyers that your home has been well maintained. Watch for Termites : Many Toronto neighborhoods have termites therefore, you should consider hiring a termite inspector. 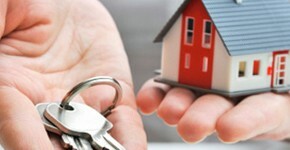 It is better to resolve the issue before listing your home for sale. A clean termite report adds significant value to your home. Shine The Backyard : Outdoor space gets many home sold, so you should make the most of your backyard. Re-paint the deck, landscape the garden, fix the fence and consider buying some fancy patio furniture. Summer pictures of the backyard is lovely during the winter. Buyers love to imagine using a BBQ when it’s -20 degrees! 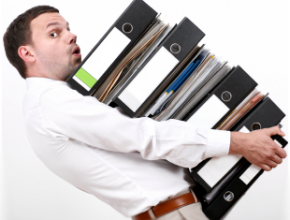 Utility Bills: Your realtor will need the copies of your hydro, heating, utility and tax bills, so make them prepared. The warranties or manuals should be also provided. Proof of renovations & repairs: Prepare a list of all renovations and repairs completed during your residency. 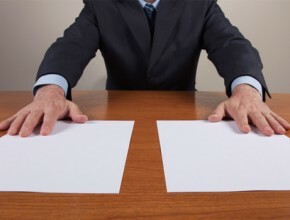 Discuss any issues with your REALTOR, disclosing issues is better than any potential lawsuit. Make an extra set of keys: Keys will be kept in lockbox at your house for real estate agents to show your home to their buyers. Photography & Virtual Tour – Professional photography is a must! If the photos don’t capture the buyer’s attention, they move on to the next house and be lost to you forever. Lifestyle videos that show Buyers how they can live in your home has been proven to be very effective. For Sale Signs – Buyers usually cruise their target neighborhoods to find their perfect house, so a For Sale sign on the lawn is always useful. Open Houses – Open house on weekend is popular in Toronto. Depending on your neighborhood and how well the open house has been promoted, you can expect anywhere from 5 to 100 or more people to attend. Great agents will be able to spot the serious and motivated Buyers and will make selling your home their only priority. Online Marketing – The online visibility of your home for sale is crucially important given the fact that more than 90% of buyers starting their search online. It is not only being on realtor.ca but you have to make sure that your realtor has a significant buyer traffic on their website. 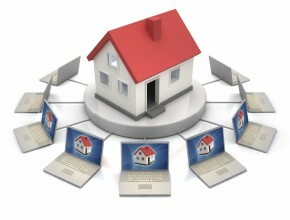 You realtor must know how to use other websites to your house’s advantage. Social Media Marketing & email Marketing– Top realtors distribute the listings to other real estate professionals via email and know how to reach out potential buyers through Facebook, Twitter, Instagram and email. Print Marketing – The full color feature sheets is useful to attract more buyers who seek for more information and photos. Depending on your REALTOR and your ideal Buyer, your home might also be promoted with postcards or in real estate magazines. Leave your house! :It is extremely distracting for a buyer having to walk around the owner when viewing the home. Be flexible with showing times : Let buyers come and see your home almost anytime during the day. They may be available only for that time, make it work for them. Most Buyers look at properties in the evening or on the weekends. Take your dog for a walk: Please understand that not everyone will love your dog as much as you do. Crate them during showings if you cannot take them for a walk. Stay away if too many showing : If your home is viewed by so many buyers to avoid stress you may consider staying away from your home for a few days. CLEAN your home: No unwashed dishes, No unmade beds, make floors clean and trim the garden when there is a showing and maybe every day while it’s listed for sale. Conditional Upon Finance : Allows buyers to confirm their mortgage qualifications with their financial institution. Conditional Upon Inspection : Allows buyers to hire a home inspector and go through the home during 2-3 hours. There are much more to negotiate on such as price, closing date, possession date, appliances, deposit (normally 5% of the total price paid within 24 hours of the offer being accepted) and so on. A few days before closing you will have to visit your lawyer and finish the paperwork. After that the transferring of your home is complete, you will receive the money from your lawyer If you still have question about: selling your Toronto house or how fast you can sell your Toronto home or What is the maximum price you can get from your home you can simply Text, email or call us and we would be happy to answer any questions you have about selling your house for top dollar.